As he was interested and enjoyed being involved in the transport business Karl Voitischek started to undertake milk transports in the mid-1960s initially with a second-hand truck. Over the following years the small fleet was steadily expanded. Today a large number of milk tankers are deployed. With these special trucks a large part of Carinthia’s raw milk production is transported from the farm to the dairy. Twenty years ago the internationalisation of the transport business began. Initially vehicles were mainly deployed to carry cargoes to Germany but today consignments are transported to all European countries. The fleet of own semi-trailer trucks, tanker trucks and trailer units is supplemented on a daily basis through the employment of reliable transport partners. The enormous expansion of the business also required a new operating site in Klagenfurt and at the end of 1999 a new, modern depot with a high-performance workshop, filling station and truck and bus washing facility went into operation. The internationalisation of the company was boosted at the start of 2000 with the establishment of a subsidiary company in Spain. This was followed by the establishment of K. Voitischek Trasporti S.r.l. in Italy and at the beginning of 2005 the establishment of K. Voitischek Cargo s.r.o. in Slovakia. For logistics services the company Voitischek Lagerlogistik GmbH was created in Klagenfurt. 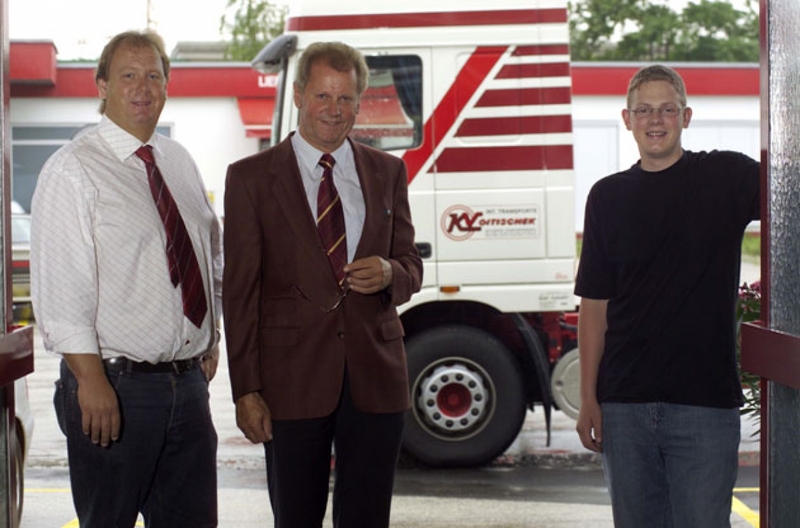 Through the appointment of the trained forwarding specialist Karl Heinz Voitischek junior to the management of the firm and the integration of his transport company KV Güterbeföderung- und Transporte GmbH in the Voitischek Group the continuation of the tradition as a family firm is ensured into the next generation.